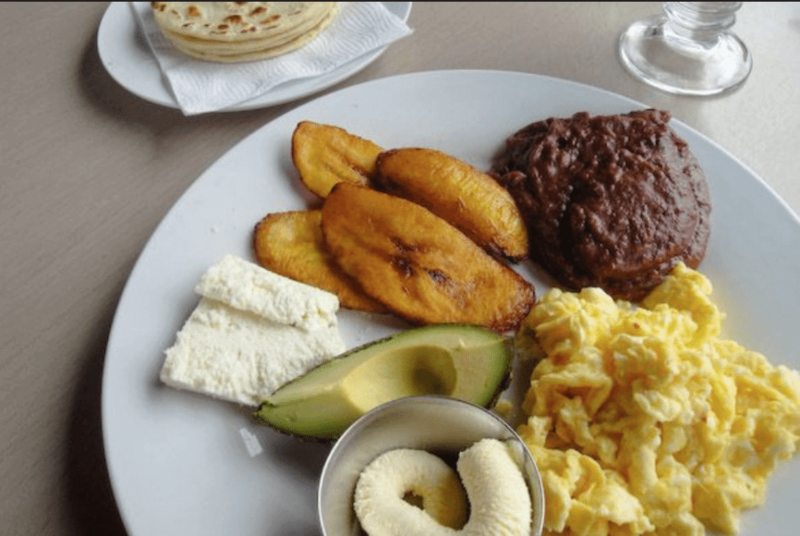 A Honduran staple! 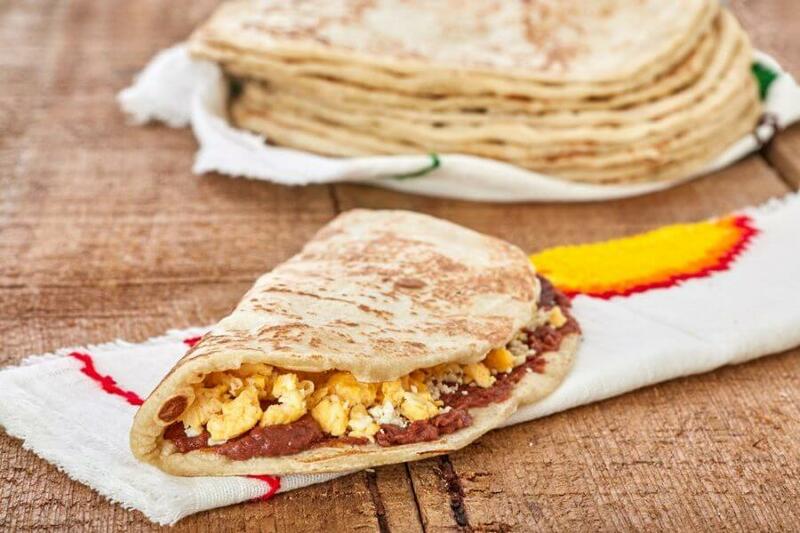 Our baleadas are what a Taco is to a Mexican. 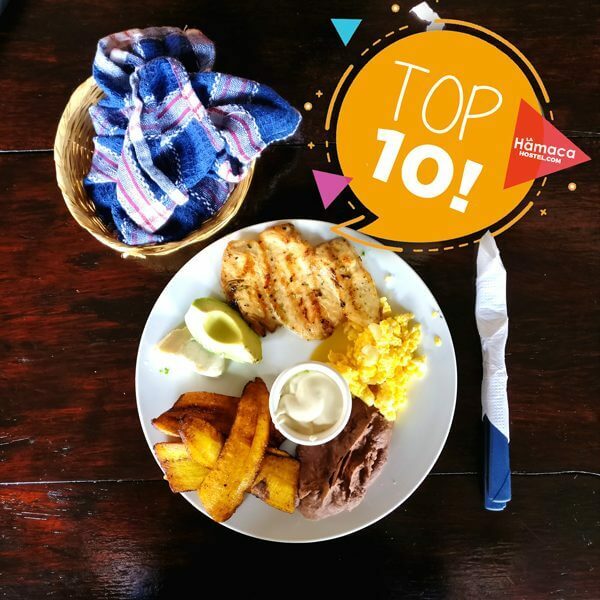 A basic baleada is a soft flour handmade tortilla filled up with refried beans, cheese and mantequilla/ crema (Honduran sour cream). You can go all out and add almost anything like avocado, scrambled eggs, pickled vegetables, chorizo or meat. Get creative! Tajadas are life! 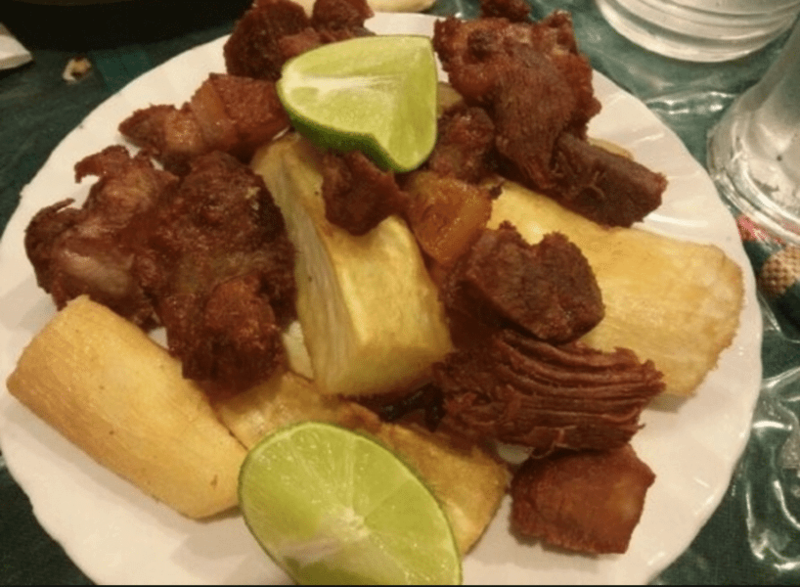 Tajadas can be plantain or green bananas, it is basically either of, finely sliced and fried to crunchy perfection! Then it is topped with juicy beef mince, encurtido (pickled spiced peppers and onions) and cheese! 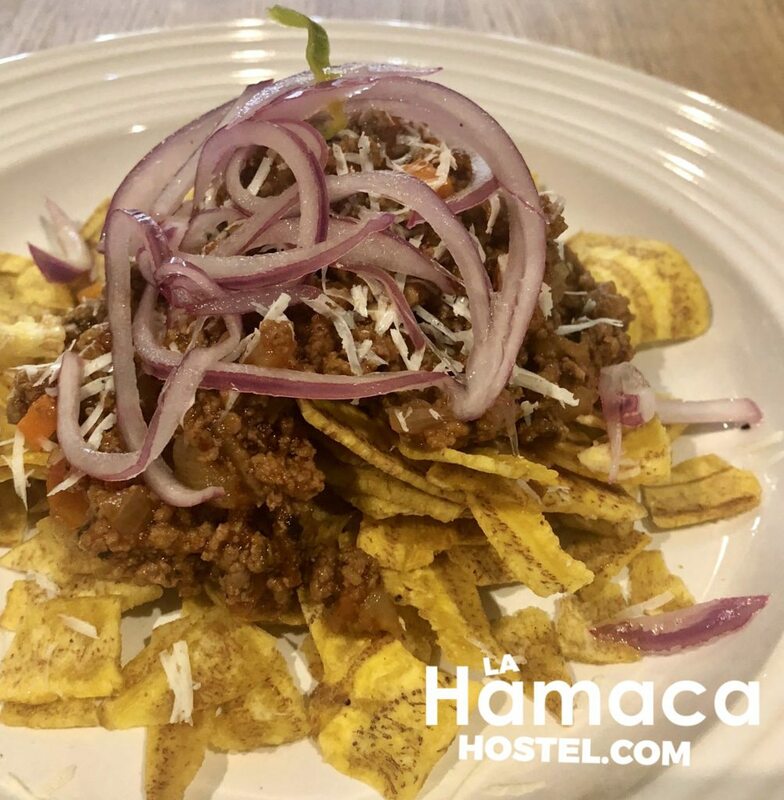 Think of it as our version of nachos! There is always a pot with beans at any Honduran household. When we boil the beans we use the stock to make this delicious, hearty soup. It’s common to add smoked porch chops or chicharrón (Pork rind) as the protein. Some people add a boiled egg and top with cheese and avocado as shown on the picture. With a bast coast, both Atlantic and Pacific, plus our rivers and lakes. There is no lack of fresh seafood available. There are several fish fry eateries depending on where you get your fish from. The principle is the same: Fried! 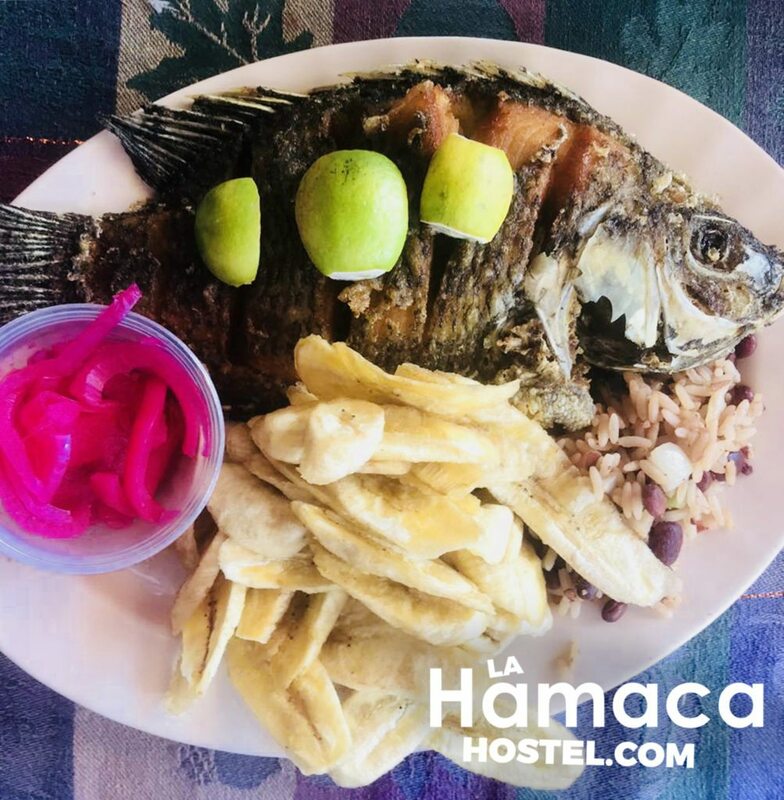 On the picture we are featuring a fresh water fish from “Lake Yojoa” served with Tajadas (green banana fries) Encurtido (Pickled Spicy onions) and of course Coconut rice and beans, to die for. Hungover? No problem. This creamy coconut based soup will sort you out. 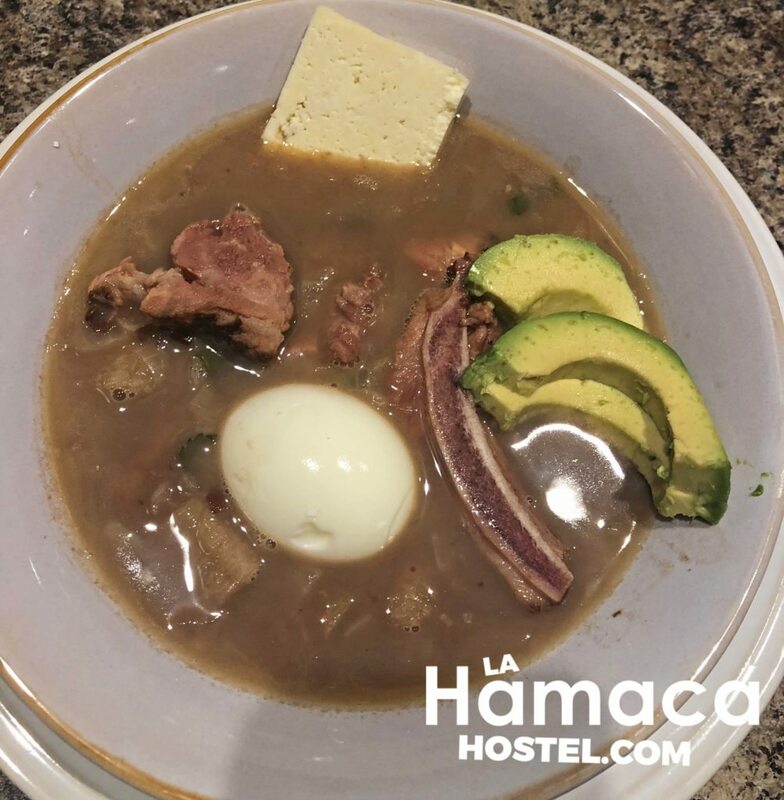 Sopa de Caracol hey! (like the song) is a specialty of the Caribbean coast. 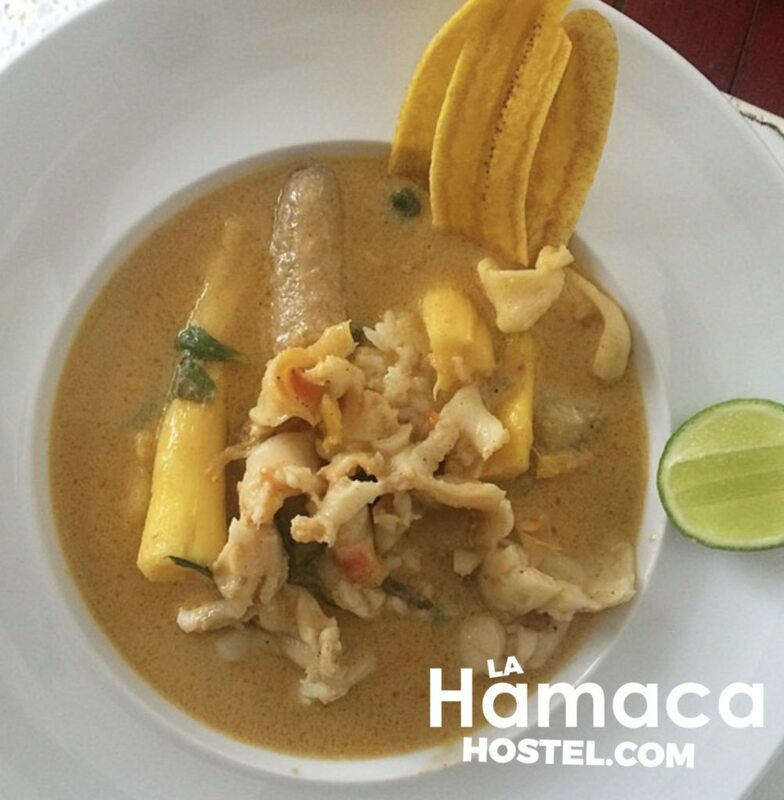 The base is coconut milk, vegetables and seafood stock. 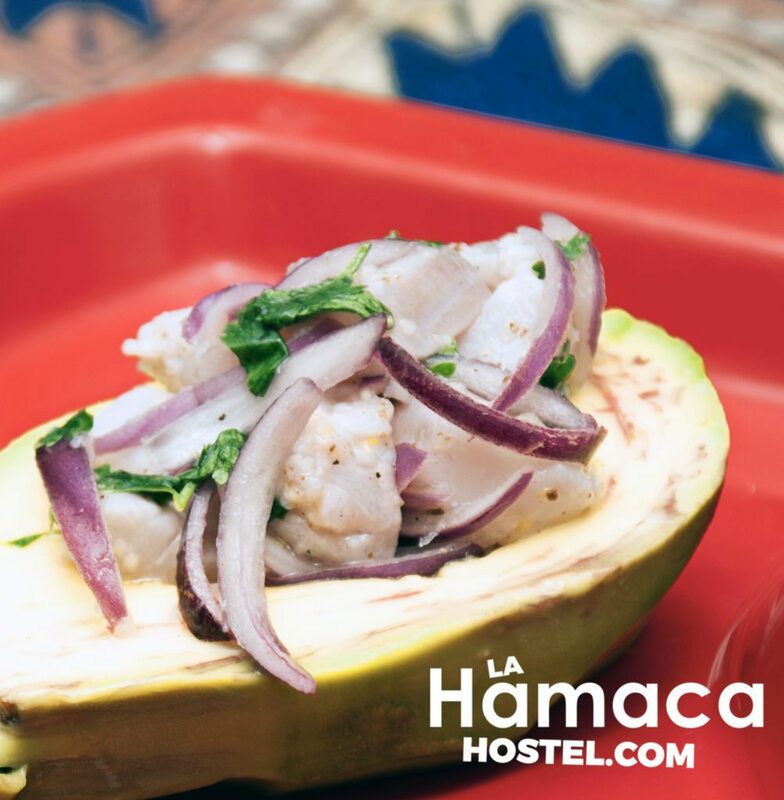 It has Yuca, green bananas and your choice of seafood, in this case, garlic marinated Conch, YUMMM! Anafres are usually enjoyed as a starter. 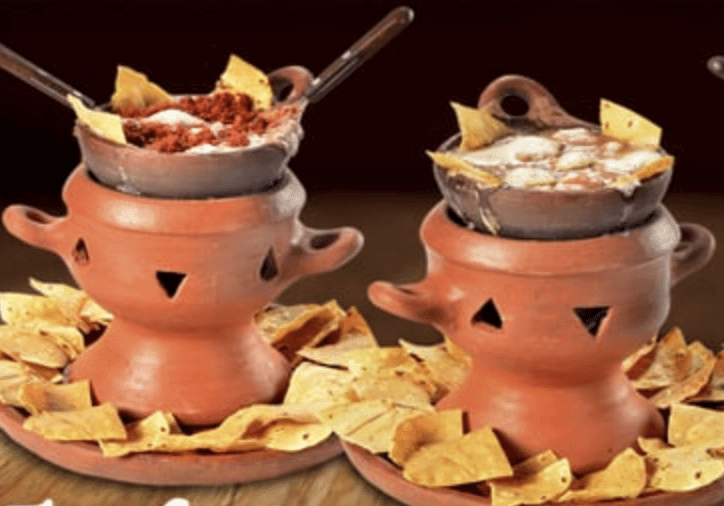 You can say it’s our version of dip fondue with: Fried beans, chorizo and cheese which is melting constantly as it is served in an “anafre” traditional clay pot as shown on pic. It is served with crispy tortilla chips, Dip in!!! Chuco, pronounced “shoe co” is a slang word for sucio which means, dirty. This doubled breaded spiced Chicken is deep fried in a huge vat of oil making it both delicious, yet dirty. 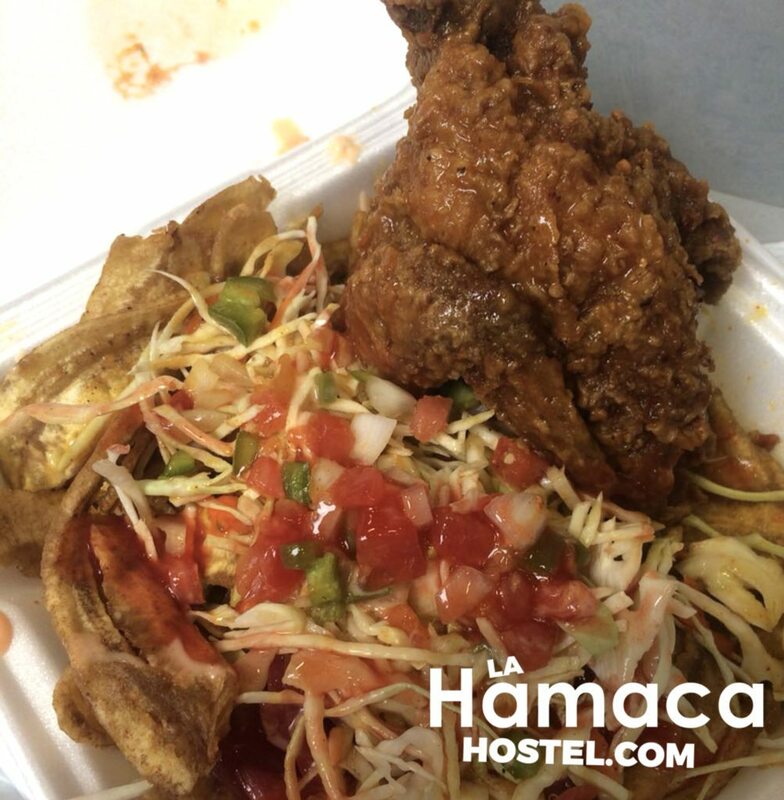 Served with green bananas or green plantain chips, salsa and mayo based dressing.